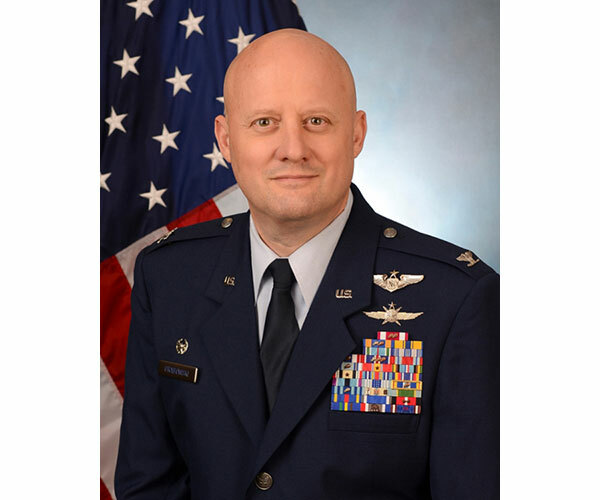 A graduate of what is now Middle Georgia State University, Col. Thomas Grabowski is the commander of the 116th Air Control Wing, Robins Air Force Base. Full Name: Thomas F. Grabowski. Family: Wife, Angela L. Grabowski; stepson, Dr. Timothy W. Bills. What He Does: Col. Grabowski is the commander of the 116th Air Control Wing, Robins Air Force Base. He is responsible for the worldwide employment of the E-8C Joint Surveillance Target Attack Radar System. The wing trains, mobilizes and deploys combat mission ready aircraft, aircrews and support personnel to designated theaters of operation and conducts sustained operations providing uninterrupted command, control, intelligence, surveillance, and reconnaissance in support of the Joint Force Air Component Commander. Degree Earned from Middle Georgia State (Middle Georgia College): Associate of Science in Business with a major in marketing, class of 1988. He later earned a Bachelor of Science in Business Administration from Georgia College and a Master of Science, Aeronautical Science, from Embry-Riddle Aeronautical University. Career Highlights: Grabowski joined the Georgia Air National Guard in 1985 as an enlisted telecommunications specialist. He was later commissioned as a communications officer through the Academy of Military Science. His aviation career includes more than 2,700 flying hours, including more than 1,700 combat hours in the E-8C Joint STARS supporting Operations Iraqi and Enduring Freedom. He was named the 116th Control Wing Air Weapons 'Officer of the Year' in 2005 and the 116th Air Control Wing Mission 'Crew Commander of the Year' in 2007. He was also the mission crew commander of Air Combat Command's Air Battle Management 'Crew of the Year' for 2007. "Being a member of the U.S. Air Force has offered me tremendous training, educational, and travel opportunities." How are your Middle Georgia State experiences benefiting you now? "My degree in marketing has served me well over the last three decades, including while I was in the food and beverage industry and later after I joined the Air Force. I still use what I learned while working on the degree in terms of recruiting and marketing of strategic plans." "Continuing to serve my country."